The guys (and Stacey) are joined by relationship expert Susan Winter. Susan helps us out with relationship advice and provides some tips to keep us on track for Valentine's day. 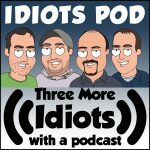 In addition, we cover some news headlines, Uber Stories, agree on a Netflix show to review for our next show and close out with Trivia Time. Enjoy. 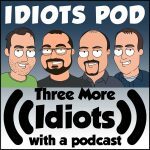 Episode 24 kicks off with the guys all here... Chris joins us for a nice round of Trivia Time. Joe ran away with the contest. Someone has been watching The History Channel! Join the guys before the long weekend. 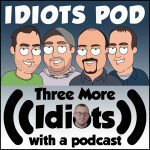 Steve brings his creative genius (self described) while Kevin brings the funny (for most of the show)... Idiots Podcast episode 18.